My grandchild logged into her Gmail from my computer. Now when I try to get on, hers is the only account that appears; I cannot log in with my user name and password. How do I fix this? When you go to the Gmail page, her name should be displayed in the upper right corner, usually next to an image (of her or something she chose). Click the dropdown arrow next to the image and you will be presented with a small menu of options. Select Sign Out to log out of her account. This will take you back to the login screen, where you can re-enter your username and password to get into your account. When using public computers like in a library or cybercafe, remember that you may still be signed into any services you’ve been using even after you close the browser. So when using a public computer, be sure to sign out. 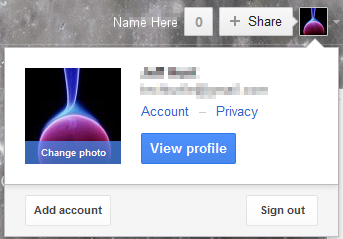 To end your Gmail session, click your account photo or email address in the top right corner, and select Sign out. By clearing browser cache and cookies, I was able to solve it.